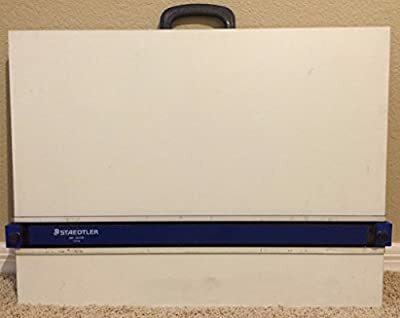 Parallel Straightedge Drawing Board 18" X 24"
Product prices and availability are accurate as of 2019-04-14 00:28:09 UTC and are subject to change. Any price and availability information displayed on http://www.amazon.com/ at the time of purchase will apply to the purchase of this product. 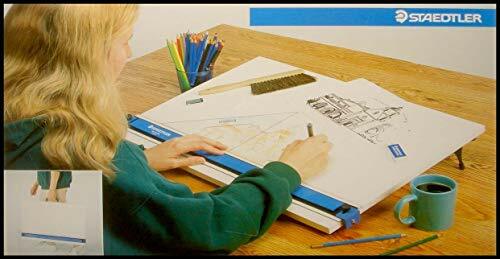 Features a wood fiber board with long-life melamine drawing surface, parallel rule glides easily and adjusts to paper thickness. Nylon-coated steel cable and tension mechanism keep rule in place. Use flat or with hinged high impact plastic legs. Portable, lightweight, with comfortable carrying handle.